We cooked some mussels tonight with fresh bread and a salad on the side. We haven’t cooked mussels in a while and decided to try a new recipe (using the gas Weber) for a change. 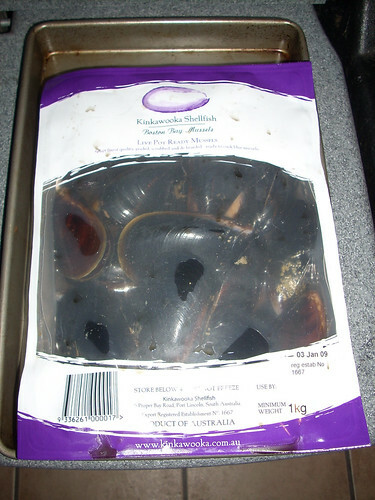 In this case we used mussels that were pre-packed in a 1 kg bag (and cleaned); they were excellent! The preparation is easy, mix together the first 6 ingredients (in the meantime pre-heat a barbeque to medium heat. After about 5 minutes they will start to “open”, take the mussels of the BBQ allow the mussels to cool slightly, then snap off the top shell, leaving the mussel still attached to the bottom shell. 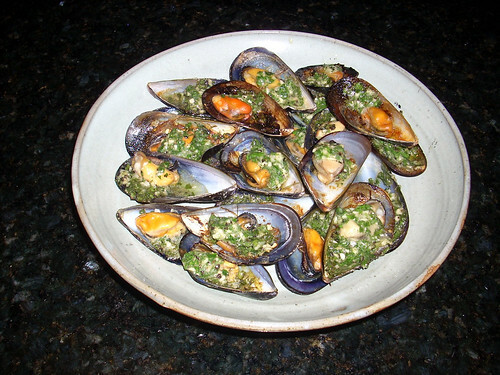 Place about ½ teaspoon of the garlic butter mixture on top of each mussel. 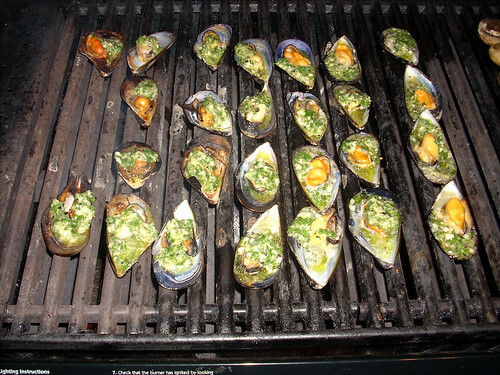 Return the mussel half shells to the barbeque, ensuring they are level so the juices stay inside the shells. Cook for 2 minutes or until sizzling. Don’t have the BBQ on too high as it will tend to cook the mussels too much (and will crack the shell), als take them off in time (i.e. don’t overcook as the sauce dry out). This only happened with a handful of the mussels but something to look out for. 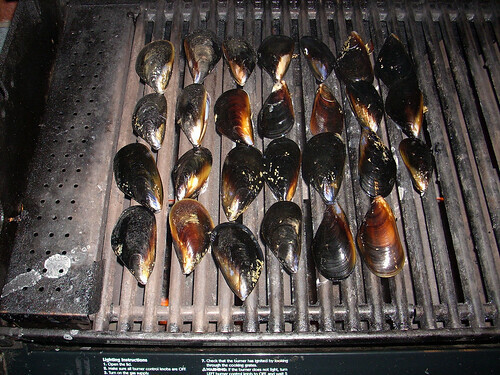 I guess mussels are similar to prawns they don’t take too long to BBQ so don’t overcook them. This entry was posted in Recently Posted on January 2, 2009 by paulr. Looks great! I haven’t tried mussels on the grill before. (Usually just saute with white wine and shallots). I like the garlic butter sauce. Will have to try this this coming Summer. I see you used Kinkawooka Mussels. I had these a few years ago and they are by far THE best mussels on the market. After eating them I am now a client for life. Nothing comes close to their tenderness. The reason that they’re so fresh is that they’re shipped live so there’s a good chance they were still in hibernation when you got them. See http://www.kinkawooka.com.au for their process. 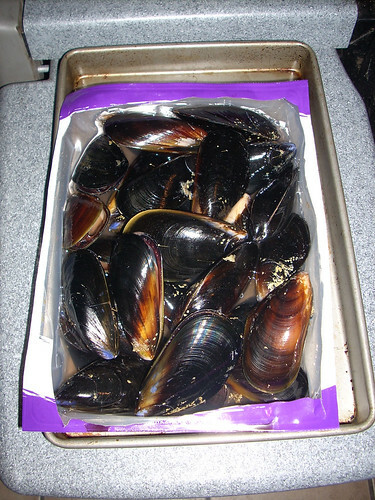 You mention overcooking….Mussels are pretty much done once their shell opens (it’s like a telltale). Perhaps next time saute the sauce so that it’s already cooked when you spoon it onto the mussels and that way you can skip the second lot of (over)cooking. Your mussels are looking pretty good. Trait forward recipe. You have a good-looking blog and I will be following it on mine. Best to you and your family.